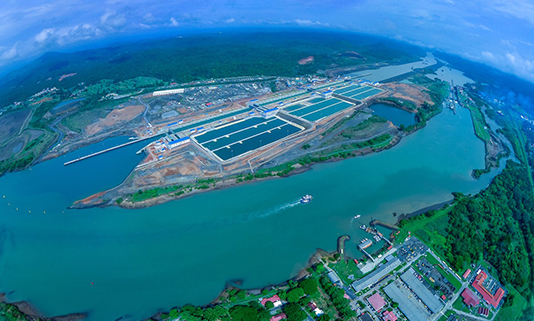 After years of building and decades of planning, the new locks on the Panama Canal are finally complete. 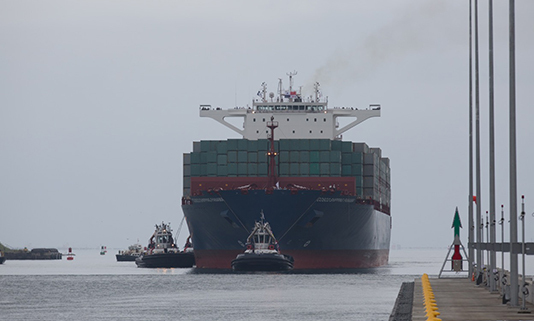 The first New-Panamax vessel travelled through just a few weeks ago, on June 26. The honour of being the first ship through was not left to chance and was instead subject to a public draw at the Panama Canal Administration Building. And the winner was…Chinese company COSCO Shipping whose ship Andronikos was renamed in honour of the event to, unsurprisingly, Cosco Shipping Panamá. The ship was completed this year and is what is termed a New-Panamax or Neopanamax. For over 100 years, in fact since the Canal opened in 1914, the dimension of the locks has been the determining factor in the maximum size of container ships worldwide. If cargo is your game then having a ship that can travel through the canals can save you a lot of miles. The Panama Canal provides the greatest shortcut for ships travelling between the east and west coasts of America (and vice versa). They can save nearly 8,000 miles by going through the Canal instead of going around South America. Ships sailing between Europe and East Asia or Australia don’t cut out quite so many miles, but the route is still a significant 2,000 nautical miles shorter via the Canal. Not bad considering the Canal is a mere 40 miles (65km) in length from shoreline to shoreline. Any container ship wishing to traverse the Canal in the last century had to be less than 294.13 metres LOA, 32.31 metres beam and 12.04 metres draught in order to easily and safely fit through the locks. The ships that were built to these dimensions are termed Panamax. 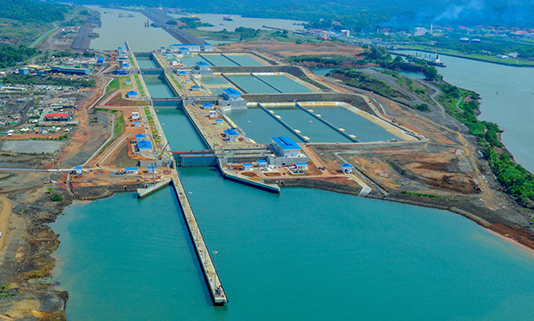 The new locks, which have just been completed are longer, wider and deeper which means the New-Panamax ships that will be using them can also be a lot bigger, with a maximum LOA of 366 metres, beam of 49 metres and draft of 15.2 metres. It looks like there’s plenty of cargo heading our way, more than 100 New-Panamax ships have already made reservations for commercial transit through the new locks, which began on 27 June, a day after the inauguration celebrations.